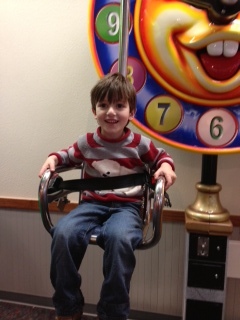 Five years ago today, I became mother to the most amazing, sweet, funny, beautiful little boy. Five years in, I daily marvel at what a truly awesome gift his presence in my life is. Watching him grow has been and is the greatest gift I’ve ever received and the most beautiful journey I’ve ever taken, or could ever hope to take. Happy Birthday, my little man! Posted in Just Life. Tagged children, just life, motherhood.